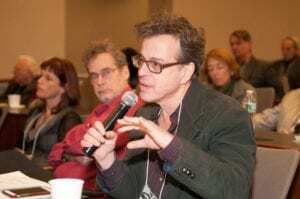 Steven Reisner, PhD is a psychoanalyst and an activist who works publicly to com­bat political violence and privately to prevent suffering from becoming ill. He is a founding member of the Coalition for an Ethical Psychology, Advisor on Psychology and Ethics for Physicians for Human Rights, where he co-authored the report Experiments in Torture: Evidence of Human Subject Research and Experimentation in the “Enhanced” Interrogation Program, and past-President of Psychologists for Social Responsibility. He has been active in combating torture in all its forms, and is a leader in the movement to remove psychologists and other health professionals from their cen­tral role in our nation’s detainee interrogation program. Because of this work, Dr. Reisner was the recipient of the New York State Psychological Association’s “Beacon” Award. Dr. Reisner has been a consultant on issues of trauma, torture, political violence, di­saster response and resilience in the face of catastrophic events for the United Na­tions, the International Criminal Court, the International Organization for Migra­tions and other international humanitarian and mental health organizations. He has trained clinicians following war and disaster in Kosovo, Iraq, Haiti, and East Africa. As a teacher, he has been on the faculty of the Clinical Psychology Program at Columbia University, the International Trauma Studies Program and the Institute for Psy­choanalytic Education at NYU and the Chinese-American Psychoanalytic Association. In an earlier career, Dr. Reisner was an Obie-award winning director and ac­tor, whose projects have been performed at the Public Theater, La Mama E.T.C., and Theater for the New City in New York, and on tour in North and South America.